“Smoke Began To Rise With A Hiss Or Whistle” | When Grandpa Was A Boy, Were There Any Dinosaurs? Farm owner Dionisio Pulido watched in astonishment as “the ground swelled and raised itself 2 or 2½ m high” and “smoke began to rise, with a hiss or whistle, loud and continuous”, from a fissure in the ground. 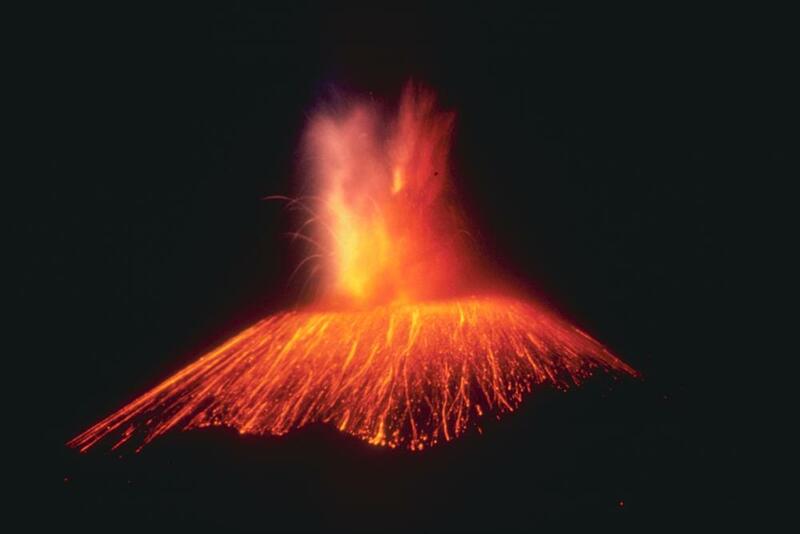 Although they were far too frightened to appreciate it, Toral and Pulido had witnessed a rare event – the birth of a volcano. By the next day, a mound of cinders 10 metres high stood in the cornfield, and rocks were being hurled from the fissure. Over the next nine years, the volcano spewed out 700 million cubic metres of lava and more than a billion cubic metres of volcanic ash. By the time the eruption ceased in 1952, Pulido’s cornfield and the village of Parícutin had long since disappeared and in their place stood a volcano 424 metres high.